The clocks changed last weekend, and my body & mind have been trying to catch up all week, and it’s been a pretty busy week! On Monday evening I was giving a talk to Harwell Gardening Club. The talk was entitled An Allotment Year, but as Monday was also April Fools Day, I couldn’t resist talking a little about some of the “gardening” April Fools that there have been. These included Waitrose’s Pinanas; Tesco’s whistling carrots (so you can tell when they’re cooked); who could forget the great Panorama spaghetti farming story; and finally Herr Moler’s phosphorescent sunflowers so that you can read in the garden at nighttime. I think the talk went well, and there was an invitation to come back another time, so a good evening was had by all. I’ve also been mostly working on the delivery of the proposal accepted by one of my clients last week. It’s involved a lot of research, and I’ve started writing the main report. That will continue this week, and I hope to deliver the draft to the client next week. I’ve had a couple of other meetings so it’s been a pretty busy working week all in all. Although we are officially on Summer Time, it seems the weather has dropped several degrees in temperature. Gone are the shorts of last week and I’m back in jeans again. This will probably be short-lived (sorry for the pun), as it was getting warmer again yesterday. The weather has meant that other than harvesting purple sprouting broccoli and leeks, I’ve not done very much on the allotment. Instead I’ve been busy transplanting broccoli and cauliflower seedlings into bigger pots, and sowing some sweet peas and a few other flowering annuals for hanging baskets and pots. It’s possible that we might soon be able to see White Tailed Eagles not very far away from here. A licence has been granted for their reintroduction, and although that’s only a step in the process it’s moving in the right direction for a reintroduction in due course, possibly as soon as this summer. You can read more about it here. The clocks changing has really mucked up my sleeping patterns, and with a busy week I’ve been a little bit too tired to read when I finally end up in bed. 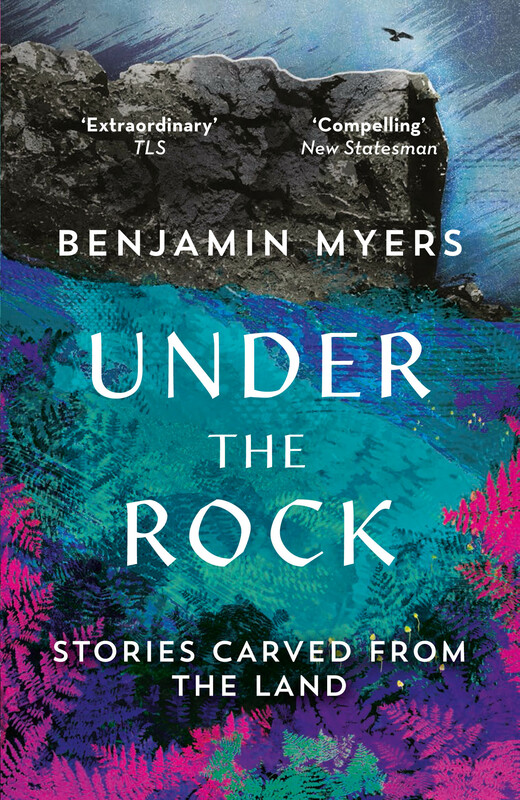 I’ve been dipping into Under The Rock by Benjamin Myers again, which although I read this last year, is coming out in paperback in a couple of weeks time and the publishers have asked me if I’d re-review it. They’ve also given me a copy of the paperback to give away here when that review is published, so if you’re interested watch this space (if you really don’t want to miss your chance then you can subscribe to posts in the box on the right hand menu – you can unsubscribe at any time, and I don’t give your details to anyone else or spam you with anything other than posts from this blog, one post equals one email). That’s it for this week. Things are a little quieter this week, my main focus needs to be on my clients report. The sooner that’s delivered, the sooner I can have a bit of fun! This entry was posted in Garden / Allotment, The Week That Was, work and tagged allotment, April Fools Day, sowing seeds, The Week That Was, White Tailed Eagle, work. Bookmark the permalink.